This study describes the Jordanian governance structure and the public budget preparation process. It discusses the political and administrative system through reviewing the legislative authority, executive authority, and judicial authority, as well as their roles within the separation of powers and checks and balances principles. It addresses the budgetary process cycle and the four main phases: the preparation of a national budget proposal phase, the national budget adoption phase, the national budget execution phase, and the evaluation and auditing phase. In this study, we illustrate how Jordan unitizes a mixed budgeting format as an approach to organizing and presenting information about resource allocations and plans of action. In essence, the public budgeting format combines line item, program, and performance budgeting to ensure efficient allocation of resources, enhance public performance outcomes, and tightly control public spending. 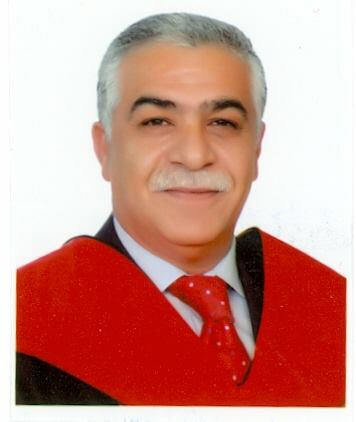 Dr. Abdel Hakim Akhorshaideh is the chair of Department of Public Administration at the University of Jordan. He teaches human resources management, institutional development, crisis management, administrative supervision, local administration, managerial leadership, management control, training of trainers, management training, public relations. He held a consultant and expert in several public organizations and academic institution He also serves as a trainer and designer of training programs in the center of consultation services and technical studies at the University of Jordan Dr. Akhorshaideh has a Ph.D. in Business and Management, Quality Management, from University of Salford, Manchester, United Kingdome. His Master degree is in Management from the University of Southern California. He has several research interests in organizational behavior, training aspects and applying total quality management in public organizations. Wa’ed Alshoubaki is an assistant professor at the University of Jordan. Her expertise lies in public policy and public finance with an emphasis on refugees and immigrants’ impact. She developed a comprehensive analytical framework for addressing the effects of refugees on receiving states and host communities. She is currently studying possible solutions for assisting refugees and maintaining national and humanitarian security of receiving states. Alshoubaki’s research delineates the importance of a bottom-up approach and participative ideologies, including utilizing social capital and communitarianism concepts to respond to refugee crises in vulnerable receiving states. She was awarded the Pi Alpha Alpha (The Global Honor society for Public Affairs and Administration). Dr. Wa’ed Alshoubaki holds B.A and M.A. in Public Administration from the University of Jordan and PhD in Public Policy and Administration from Tennessee State University. She teaches Public Finance, Public Policy Making, Governance and Research Methods in Social Sciences. Ammari, G., Alkurdi, B., Alshurideh, M. and Alrowwad, A. (2017). Investigating the Impact of Communication Satisfaction on Organizational Commitment: A Practical Approach to Increase Employees’ Loyalty. International Journal of Marketing Studies, 9(2), 113-133. General Budget Department (2017). Budget Preparation Manual. http://www.gbd.gov.jo/en. Key, V.O (1940). The Lack of Budgetary Theory. American Political Science Review. 34(6). Pp. 1137-1144. Lewis, C., and Hildreth (2012). Budgeting: Politics and Power, 2ndEd. New York: Oxford University Press. Massadeh, A.E. (1999). The Structure of Public Administration in Jordan: A Constitutional and Administrative Law Perspective. Arab Law Quarterly, 14(2), 91-111. Miksell, M. (2015). Fiscal Administration: Analysis and Applications for the Public Sector. Wadsworth Cengage Learning, Boston: USA. Morgan, D. (2002). Handbook on Public Budgeting. The Oregon State Fiscal Association. Oregon, USA. Sharp, J. (2017). Jordan: Background and U.S. Relations. Washington, DC: Congressional Research Service. Middle East Affairs, The U.S. Congress. Sommaripa, L. (2012). Jordan Budget Manual: A Guide to Policy, Process, and Analytic Techniques. USAID, Jordan Fiscal Reform Project. The Parliament of Jordan.(2017). General Information about the National Assembly. Available from: The Parliament of Jordan. United Nations- Division for Public Administration and Development Management, Department of Economic and Social Affairs (DESA). United Nations. United Nations. (2004). Hashemite Kingdom of Jordan: Public Administration Country Profile. Veiga, L., Kurian, M., and Ardakanian, R. (2014). Public Budgets: Governance Structures, Norms, and Organizational Practices. In R.C. Fisher (Ed. ), Intergovernmental Fiscal Relations (pp. 25-46), Switzerland, Springer. Wilson, J.Q. (1989). Bureaucracy: What Government Agencies do and Why they do it. New York: Basic Books. AKHORSHAIDEH, Abdel Hakim Oqlah; ALSHOUBAKI, Wa'ed. Public budgeting in Jordan: Governance structure and budget preparation process. Journal of Social Sciences (COES&RJ-JSS), [S.l. ], v. 8, n. 2, p. 270-278, apr. 2019. ISSN 2305-9249. Available at: <http://centreofexcellence.net/index.php/JSS/article/view/jss.2019.8.2.270.278>. Date accessed: 24 apr. 2019. doi: https://doi.org/10.25255/jss.2019.8.2.270.278.